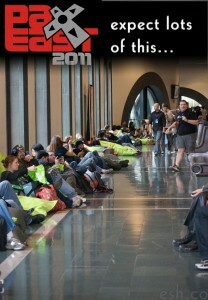 It's 9 am (ok, actually it's closer to 9:30am) on the first day of Pax East 2011. Team ESH this year is made up of NinJaSistah, Pandalicious and KingBabyDuck. We've got coffee. We've got badges. We've walked around the BCEC once already and the con-funk has made an early appearance. What we haven't got is a clue. The Sistahs Invade the Bastards Territory! 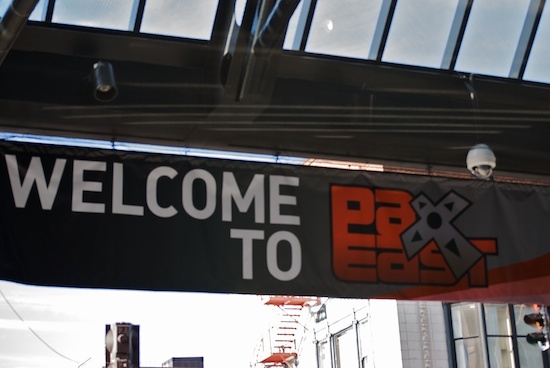 Wanna know what you missed in the ESH/B3 PAX East show? 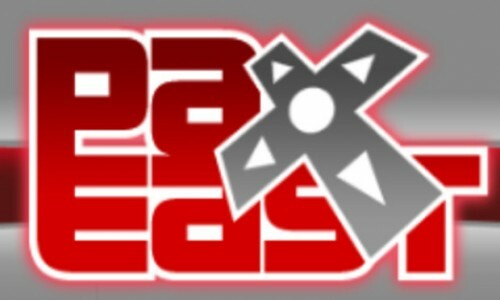 Team ESH has paired with the B3 crew to bring you a brand new episode of our weekly podcast, and this one is all about PAX East baby! This is the beginning of day two for both Pandalicious and I here at the Hynes Convention center, and the fun just doesn't take a break.